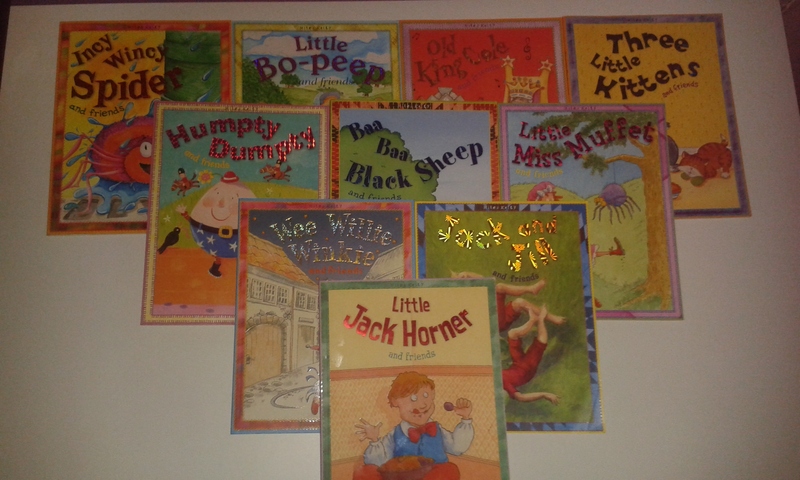 We recently rediscovered a lovely collection of books I had bought D for his first Christmas. When we had originally got the books D was too young to really want to use them. He was happy for us to just sing the nursery rhymes to him, as he got older we did start reading the classic fairy tales inside too. However as our book collection grew and we moved house they weren't used. I had been sorting out D's bookshelf for Easter themed books and came across the collection again. Since then we have been reading through some of the books daily and we have some very clear favourites already! The collection of books is a set of 10 books from Miles Kelly called the Nursery Library. You can see the front of all 10 books in the collection above. I must say I really do love the covers of the whole collection. It's certainly eye catching and they have such beautiful pictures on the covers. The bright metallic titles are interesting and you cannot miss them. I also like the titles themselves. 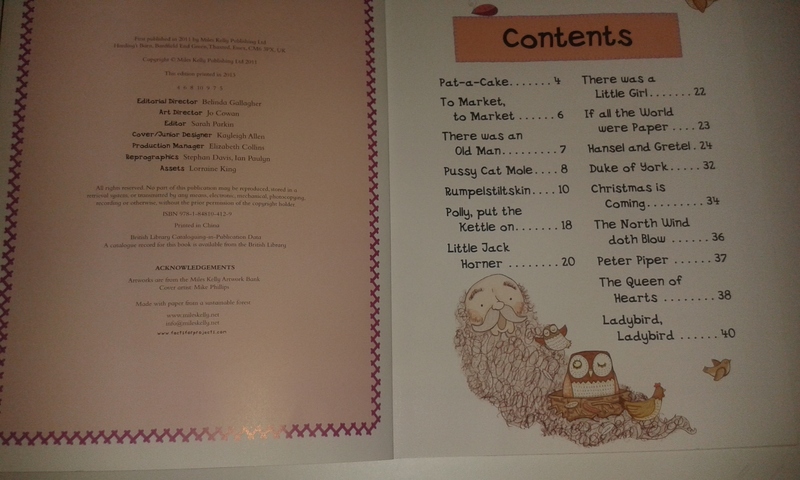 The fact that they name a popular Nursery rhyme that is inside each of the Nursery Library books and then have the 'and friends' after makes reading the whole book and not just his favourites more appealing to D.
Upon opening each book you can find a contents page. I love this! Most of our other Nursery rhyme books don't have one which can mean I spend a good bit of time flicking through trying to find a particular rhyme or story. The contents page is easy to read with clear fonts and large writing. 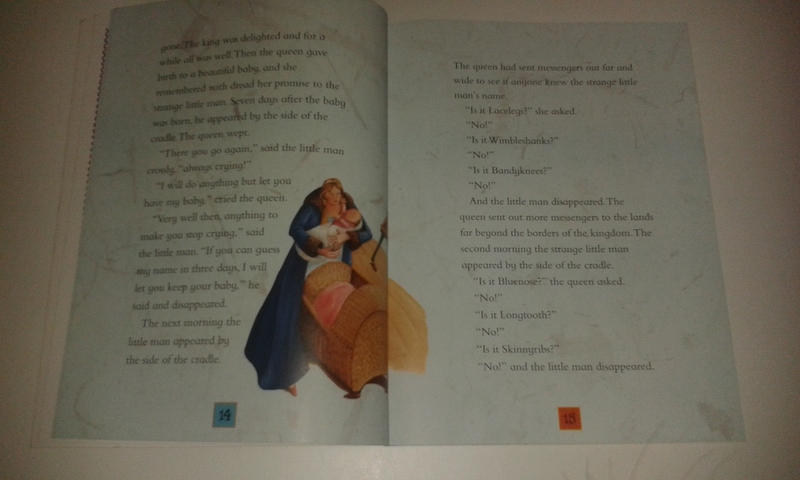 Each page in the Miles Kelly Nursery Library books is illustrated beautifully with pictures that depict the rhymes or stories themselves and D has started to notice the pictures more now that he is associating pictures with words. 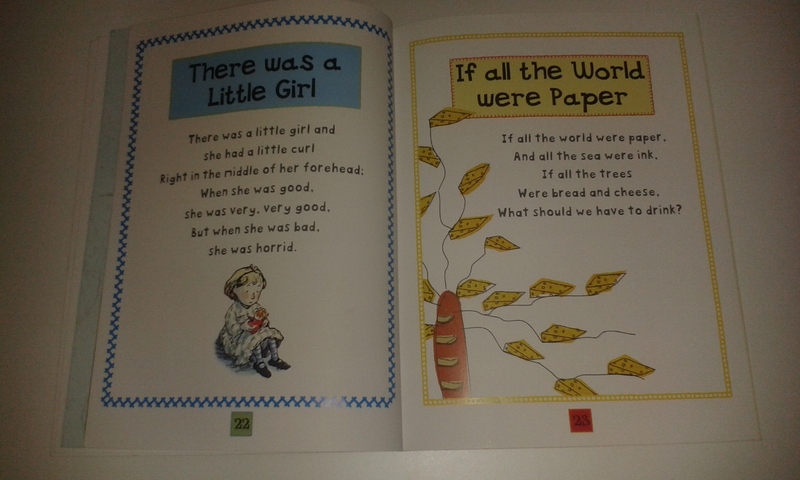 Each rhyme page is also decorated with a bright boarder in a different colour for each rhyme. Under the boarder in a bright colourful box you will find the page number. This makes it easy for finding particular rhymes or stories in the books too. The stories inside each of the Miles Kelly Nursery Library books are easily found by a quick flick through the pages you cannot miss them as they pages of each story are coloured while all the pages of nursery rhymes are just plain white. This is such a great idea and I must say it was well thought through. The last thing you want to do at bed time or nap time is sit turning pages to find a story or a page number. We have found this very helpful as D likes to do all the rhymes first and then sit up and have a cuddle while we read through the stories. When we first got the Miles Kelly Nursery Library I was pretty surprised by the collection of rhymes it contains inside. There where quite a few that I didn't know and had never come across before. This was nice as me and D could learn these nursery rhymes together and make up our own actions if we wanted to! The variety means that this collection really does appeal to everyone and caters for many peoples needs and wants from a nursery rhyme collection. The books are also very durable, like I said we have now had the books for over 2 years and apart from a little bent corner in one book they are in amazing condition for the use we have had out of them. The pages themselves are good quality paper and pretty thick which makes tearing them by simply reading the book almost impossible! This is always a good property for a children's book which is made to be read regularly. We have had our fair share of pages ripping while D is turning the page. He gets a bit upset when it happens as he loves to read his books and sometimes it is simply the paper quality that is the ultimate factor. So there you have it. These are some of our favourite books to read during the day with D and we can all get involved with them as a family too which is a great plus. 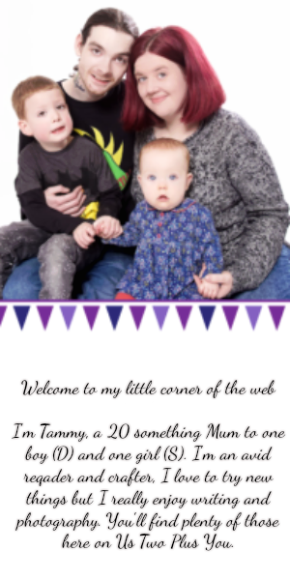 I would recommend any of the books in the Miles Kelly Nursery Library and you can click the links above to see each book on Amazon. Each book costs £5.99 in paperback and is also available in Kindle Edition. Unfortunately the full collection of books is currently unavailable on Amazon at the time of writing this post.